While there are many uses for augmented reality in the automotive industry, adoption has been slow. With the plethora of makes and models on the road today and rolling off assembly lines tomorrow, developing and deploying knowledge bases that utilize augmented reality to dealerships and garages can be costly and difficult to scale. 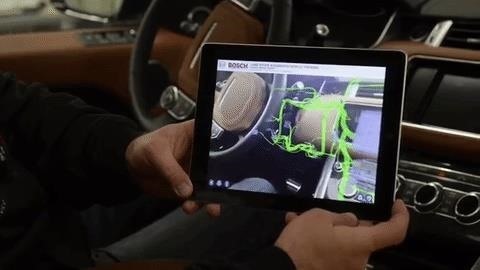 Bosch Automotive Service Solutions has proposed an answer with its Common Augmented Reality Platform (CAP), which gives automakers an interface for writing, editing, and publishing AR content for iOS, Android, and Windows. "CAP is a production ready platform that provides the tools to enable a technical author, not a programmer, to develop and manage AR content efficiently. It also provides for an effective management and delivery of large and variable data sets, and includes a highly optimized GUI and runtime client for delivery to the end user," said Rob Butz, the director of business development for the technical information services segment at Bosch Automotive Service Solutions, in an email interview with NextReality. One area where augmented reality can introduce improvements for the auto industry comes in the service arena. Visualizing the complex internals of modern vehicles can help technicians diagnose repairs more quickly and efficiently. As an example, integrating AR with diagnostics will provide the ability to augment the location of connectors and wiring harnesses and associate them with a specific diagnostic trouble code. It would eliminate the need for a technician to search through a manual and then have to transfer that written knowledge to the vehicle. With AR, it's right in front of them, visually. 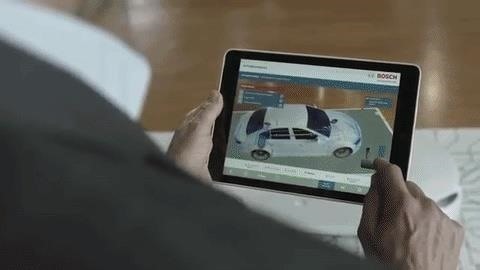 Besides maintenance, AR has several other use-cases for the auto industry, including operator's manuals and product information for customers, and sales and marketing collateral for dealerships. Today, few dealerships have adopted AR outside of proof-of-concepts for specific models, though Bosch expects adoption to increase over the next few years. "As with any new technology, the introduction of AR will take some time to gain full acceptance. There are also more improvements yet to come in the tracking technologies and the hardware," said Butz. How else do you envision AR improving the auto industry? Let us know in the comments.